Their debut LP comes out July 15. 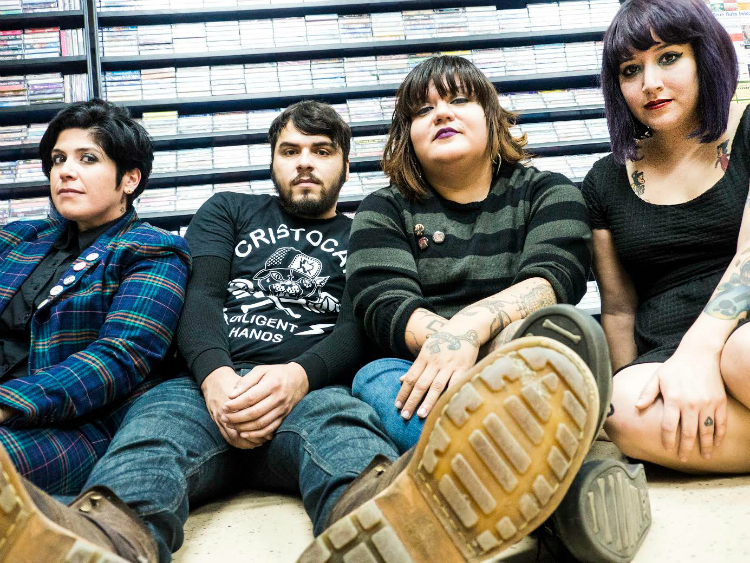 A recent addition to Joan Jett's Blackheart Records, FEA is a queer Chicana punk band with a feminist message. Their debut self-titled LP was produced by Laura Jane Grace, Alice Bag, and Lori Barbero of Babes in Toyland, and is available in stores July 15 and for preorder now on iTunes and Amazon. They recently released a single, "Feminazi," a feminist anthem with an upbeat punk tempo. The lyrics and video call out injustices against women around the world and distinguish feminists from "feminazis," who typically hate men. "I am a feminist," they chant in English, Spanish, German, French, and Japanese.